Charcoal Labrador Retrievers, or Charcoal Labs, are playful little helpers that just want to explore. Their loyalty and independence make them a perfect pet for beginners. Interestingly enough, many breeders believe the gray tint appeared from outside labrador lineage. However, genetics has been able to provide more than enough evidence to support that these are indeed Labradors, albeit rare ones. 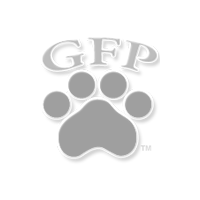 Their genes contain a diluting factor in coat color dominance traits that are responsible for the gray hue – something that is also present in Silver and Champagne Labs as well. No matter what’s on the outside, the inside of these Labradors Retrievers is magnificent and is often paired with a heart of gold. Quizzical and adventurous, Charcoal Labs have a penchant for chasing woodland critters. As a Retriever, they make great companions or service dogs and are perfect for hunters. Besides their working dog nature, Charcoal Labradors also exhibit a playful and patient attitude. This makes them perfect for families, even those with small children that may be too exuberant for other breeds. Highly adaptable, Labs are happy in almost any environment. While they definitely love to get attention, they are not a high maintenance breed and are content to spend time guarding over their family. They do tend to have natural retriever urges though, such as digging and minor barking, but exercise and some training will usually take care of this issue. 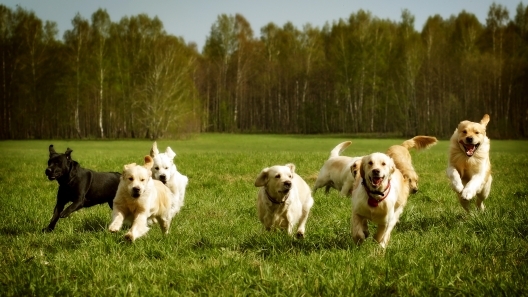 These dogs are happiest when they are with their family, are well-exercised, and have plenty of mental stimulation. They can adapt to apartment living, but they must get enough exercise, attention, and mental stimulation in order to do so. Their double coat makes them a good fit for almost any climate. 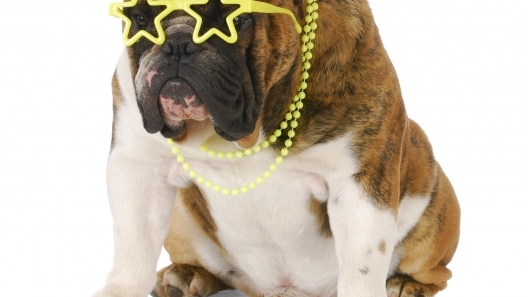 As with most dog breeds, they are sensitive to extreme heat or cold. Overall, Charcoal Labs tend to be a healthy and active dog breed. Regular visits to the vet will take care of most common issues, but owners should keep an eye out for overeating in their pup. Later on in life, Labs are likely to develop common age-related issues such as eye disorders and joint problems. Ideal for first-time owners, Labrador Retrievers are highly independent and adapt to almost any living situation. They are also highly trainable and are eager to please their owners. They often don’t need much in the way of training and are regarded as one of the easiest breeds to train with advanced techniques. As companions, Labs can make the change from lap dog to guard dog and make a great fit for most owners. Grooming is fairly low maintenance for Charcoal Labs when compared to most breeds. Charcoal Labrador Retrievers will shed moderately year-round and will go through two heavier shedding cycles each year. A thorough brushing once per week, and the occasional bath will do just fine. 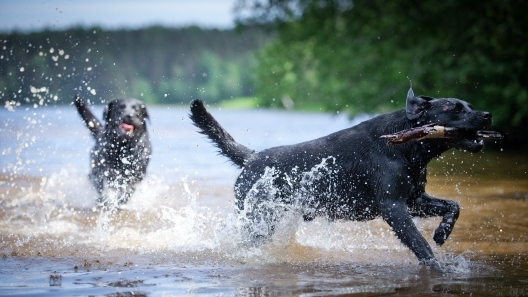 If your pup likes to swim a lot or gets muddy on a hike or run, it may be necessary to bathe them more often. Bred to be working dogs, Labs are fairly active and need regular exercise as part of their routine. Daily walks and runs, trips to the park, or the occasional hike or swim will help them to stay active and healthy. They do tend to calm down a little once they get around 2 years old, but they will still be a high energy and active dog. Charcoal Labs grow up to be medium to large dogs. Typically, they get to be about 23 inches in height, weighing in at an average of 75 pounds. Males tend to range between 65 and 80 pounds while females range from 55 to 70 pounds. Labs enjoy a nice longevity, providing companionship for 10 to 14 years. Labrador Retrievers have a thick, tapering tail. It helps them maneuver in the water and is referred to as an “otter tail”. Everyone loves Charcoal Labrador Retrievers! Their metalic Charcoal coats and blue eyes set them apart from other Labs. This loyal, intelligent gundog is classified as a Sporting Class dog. While this dog has a thirst to retrieve just about anything, the Labrador is just as well suited to be a great family pet. Labs are known to be children's personal jungle gym, and will never tire of the attention they get. This breed of dog was first recognized by the AKC in 1917, and remains one of the most popular breeds in the world.